Triggers are used to create alerts. 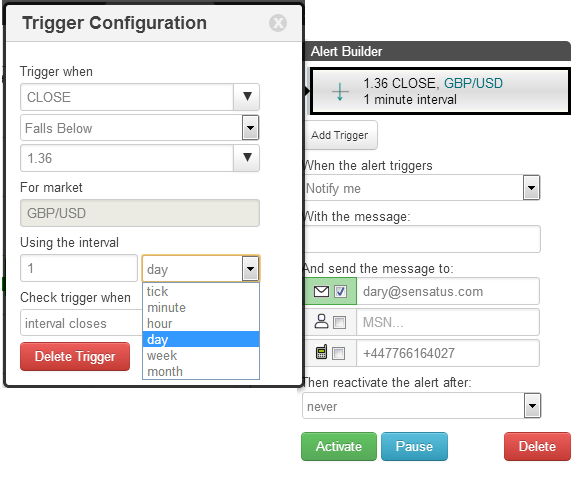 Each alert trigger is based on an interval period. 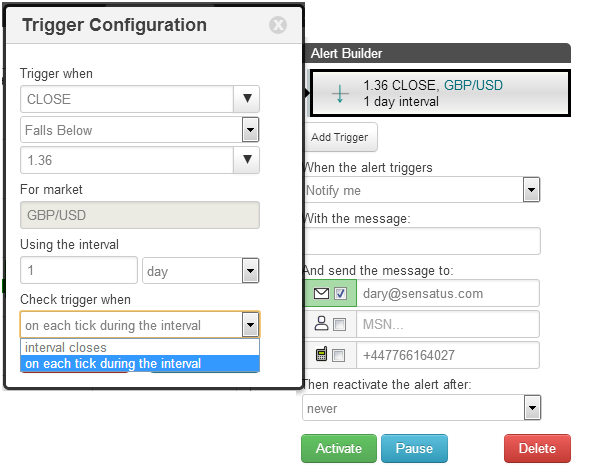 Alerts are either checked at the close of each interval or on each tick during the interval. 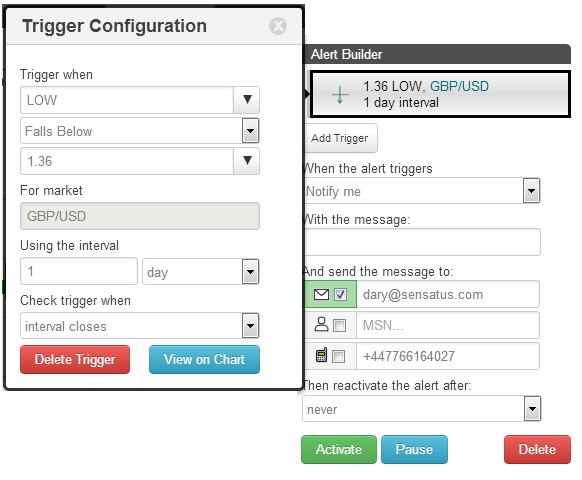 When creating timetotrade alerts it is therefore essential to consider the interval period you select. For example there are 12 x 5 second candles in a minute; there are 4 x 15 minute candles in an hour; there are 12 x 2 hour candles in a day. All of the standard candles can be divided without a remainder into the next larger unit of time. In this example the interval was set to check if the 1 day candle close price falls below 1.36 at the close of the interval i.e. at the end of the trading day as the interval period is set to 1 day. 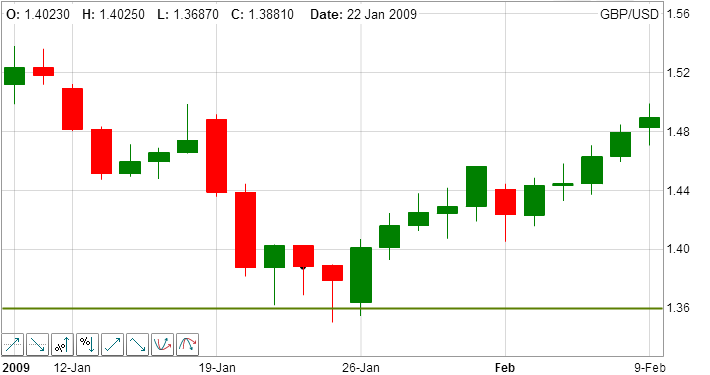 If this alert had of been active during the period illustrated on the chart it would not have triggered, because although the low price during January was less than 1.36, the candle close price was above the 1.36 level. If the alert trigger was changed to use the low price, then the alert would have triggered twice in January at the end of the trading day i.e. at the close of the interval the alert would be checked to see if the low price was less than 1.36. Within a given interval, on each tick, the alert trigger is evaluated if set to check on each tick during the interval.